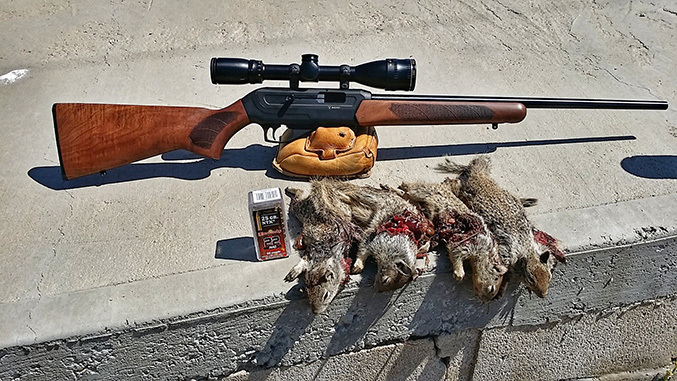 The rifle arrived in the middle of the spring varmint “season”, so we cleaned it, mounted a Swift Optics 4-12x40mm scope on it, and lined up a handful of different ammunition to use at the range. Tom (Varminter staff member) and I headed up to the high desert early one morning to start on the range and function testing with the various ammo. All ammunition cycled well through the rifle, with zero feeding issues. 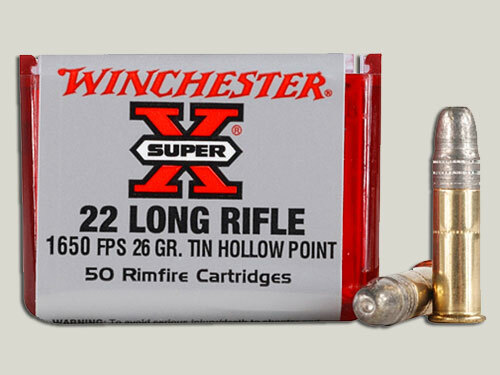 This surprised us, because old rimfire ammunition is very finicky and does not always perform to the same standards as newer ammunition. There are a lot of reasons for this, but I won’t go through it right now, because it has nothing to do with the rifle itself. 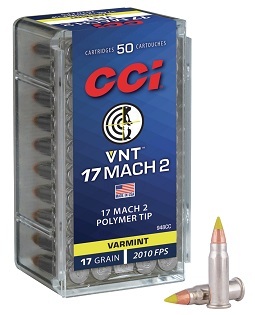 The fact that it cycled this ammo, is a sign that CZ tuned this rifle perfectly during the design and production phase. Accuracy was good, with our best groups coming from the Hornady 30gr, Remington Premier, Federal Premium and the Hornady NTX. These loads consistently produced 0.75″ to 1.25″ groups at 100 yards. 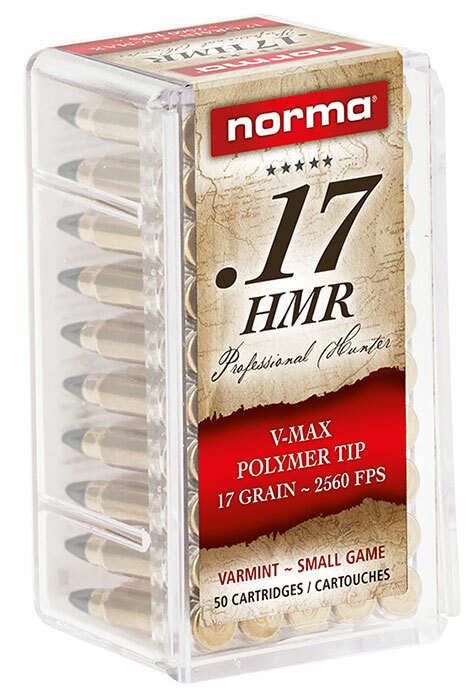 The other ammunition were in the 1.30″ to 1.5″ groups, which is still not bad for a production .22 Magnum. Our initial reasoning for the groups is the heavy trigger pull. Like many other rifles we tested, if the trigger was adjusted to be lighter, we believe we could produce better groups with this rifle. 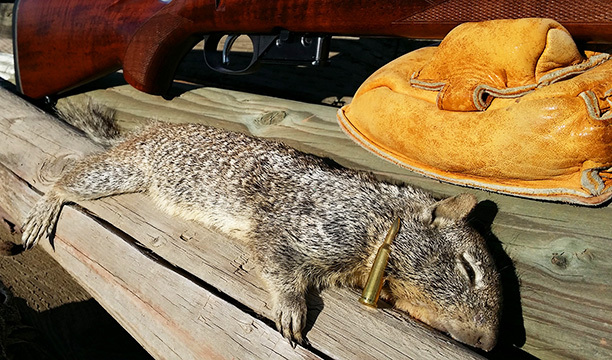 Although we were going to be hunting in an area where lead was legal, there was a chance we would also be hunting in the lead-free zone area of California, so we did our final sight-in with the Hornady 25 grain NTX ammunition. 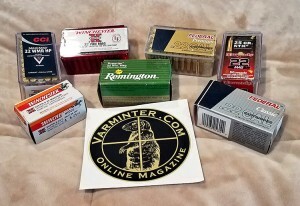 This ammunition is a great lead-free load, but it has not been available for years. 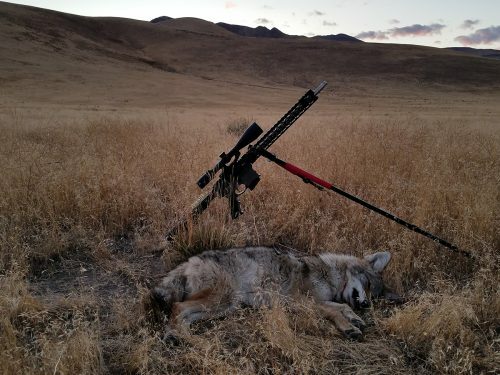 For the sake of California hunters, we hope that Hornady begins producing it again. 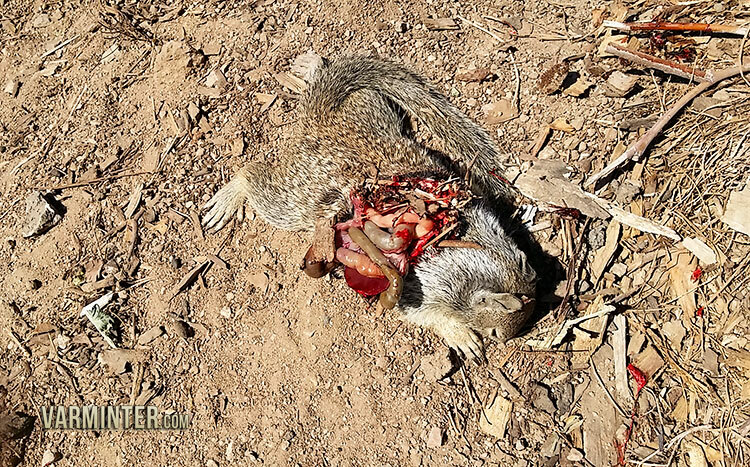 We left the range and drove to a spot in the Central Valley area of CA where ground squirrels were living in brush next to a large alfalfa and organic vegetable field. The farmer had called me a week before and asked us to please come up as soon as we could to shoot “those damn squirrels”. 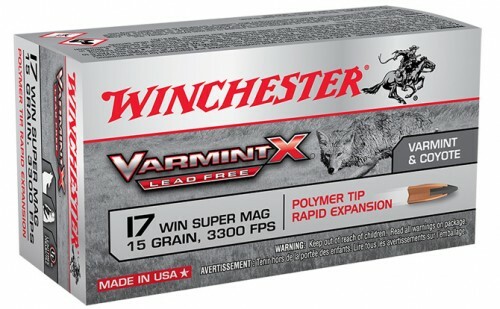 Since we had the CZ 512 and the Volquartsen 17WSM to test on varmints, his ranch was first on our list! We set-up our shooting bench and the camera equipment near a spot where we saw a lot of active squirrel holes. The area did not allow for longer shots, so our set-up put us from 50 yards, out to 75 yards for most of our shots. After shooting the Volquartsen for a while, I pulled out the CZ and got comfortable behind the scope. The farmer wasn’t kidding when he said these ground squirrels were living in the brush. I knew the 22 Magnum could power through some it, but I was hoping the accuracy would allow me to avoid clipping a branch. Ground squirrel number one came out and stood-up to check us out. I found him in the brush and as I put the crosshairs on him, I could see he was nervous. 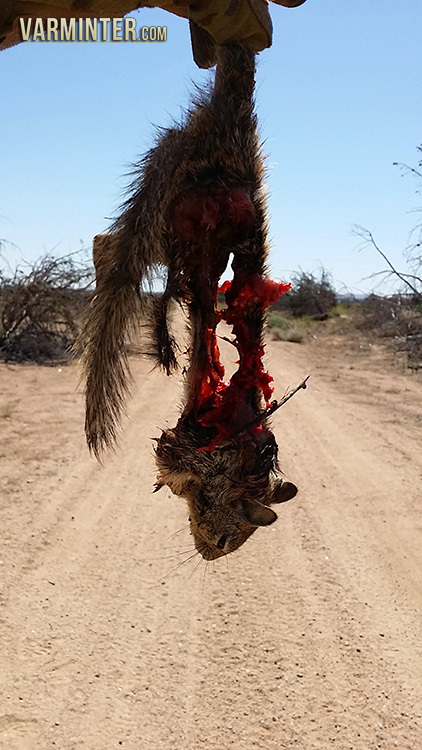 Well, even as a guy who has hunted ground squirrels for 35+ years, I too get a little excited on some of these first shots and I completely missed the shot! Ugh! Luckily, the semi-auto allowed a quick follow-up shot where I killed him. I continued to scan the area until another ground squirrel showed up on the left side of the mound. The wind had picked-up slightly, so while I was gauging which direction it was blowing and how strong, it wandered around until reaching a small piece of wood at the top of the mound of dirt. I found him in my scope, adjusted slightly for the wind, and squeezed the trigger. 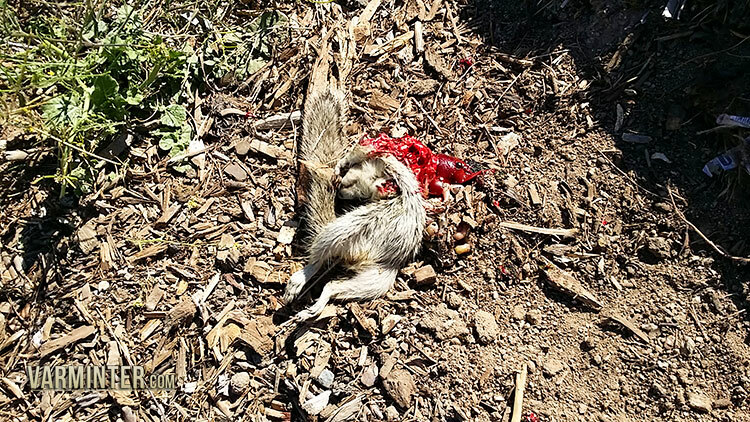 The bullet made an audible “smack” and the ground squirrel rolled over, dead. Ground squirrel number three was a bit more interesting. I was paying attention to the wind, which had picked-up quite a bit, when we saw movement on the left side of the mound. He showed up on the left side, right near where I had just shot #2. His motivations were different than the first two. He was not trying to sun himself, or see what was happening in the world around him. No, he wanted to eat the one I just shot! We watched him climb up the mound and head over to the dead squirrel on the top. Even though he was slightly behind a bush, we could see him eating the guts of the other one. I put the crosshairs on his shoulder, and took the shot. The bullet hit him and tossed him off the mound, a couple of feet away from the one he was eating. The bullet made quite a hole, leaving what we call, the “Suspender” effect. I shot a few more, that we did not get on video and then called it a day. On the long drive home, I thought a lot about what my opinion of the CZ 512 American rifle was. 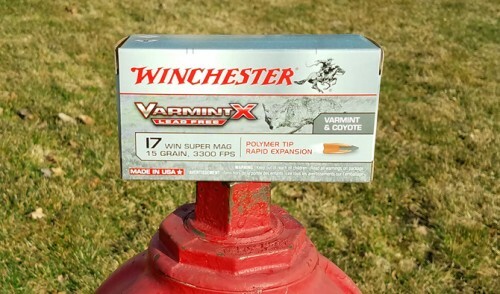 The rifle performed very well, and it was accurate enough for shooting varmints within the range of the .22 Magnum. The fact that it cycled all the ammo I put through it was a big plus! I have a personal issue with some parts of the CZ 512 and the process used to create the receiver and trigger guard. It is some type of molding process that feels a bit cheap to me, but that is where most companies are headed nowadays to keep costs down. That is a personal opinion and did not have any bearing on the function of the rifle. **My only function issue with the rifle is the heavy trigger pull. However, there is a great thread on RFC that shows what some 512 owners are doing to take care of the trigger issue. I wish CZ would offer something built into the trigger to adjust it and take up some of the creep. 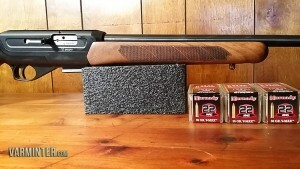 Would I personally buy a CZ 512 American? Yes I would. The 512 is a great little rifle, that is perfect for those walk-around hunting situations. I can picture myself using it while hunting jack rabbit in the sagebrush, as well as a light rifle to carry with me into the Arizona desert to kill some fox on a stand. 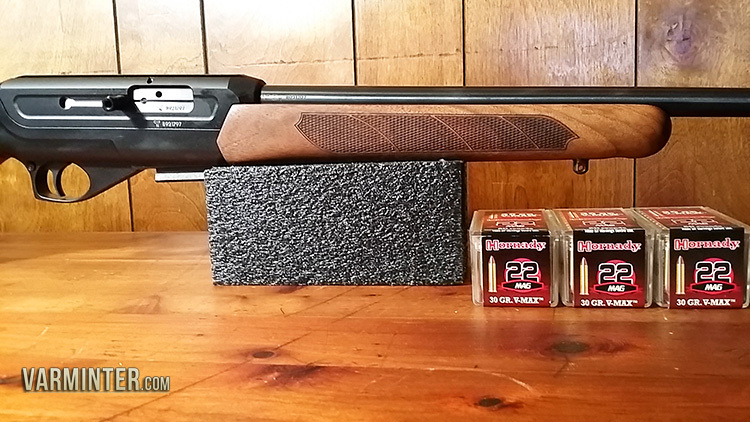 It’s accuracy, function and versatility make it a fine choice for anyone looking to get into, or add to, their .22 Magnum collection.